Today the 5th episode of the topic Meet the Collector. Meet the Collector is about passionate people with a focus on collecting. With this topic I will give you an insight in their special collection. Collectors will tell their story behind their treasures, show their most rare and unique items and tell you all about the collecting thrill. I’m very proud to show you the 5th collector: Eric Maggiori in the topic: Meet the Collector! Thanks Eric for sharing your great story and showing some of your awesome treasures from your collection. Enjoy. What’s your favorite brand: I don’t have one favorite brand, let’s say I have a « Top 5 favorite brands ». I love all the Stifel stuffs, it’s really particular and all the clothes that have a Stifel stamp drives me crazy. 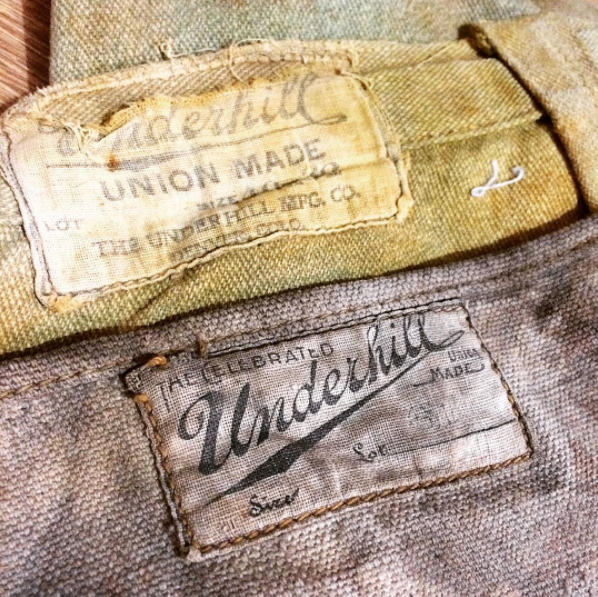 Then I like Underhill, a brand from Denver, CO, a workwear brand that produced miners clothing (then it becomes Baily-Underhill, and then just Baily). I also love Boss of the Road, because its Bulldog logo is awesome, Sweet-Orr and, last but not least, Stronghold. 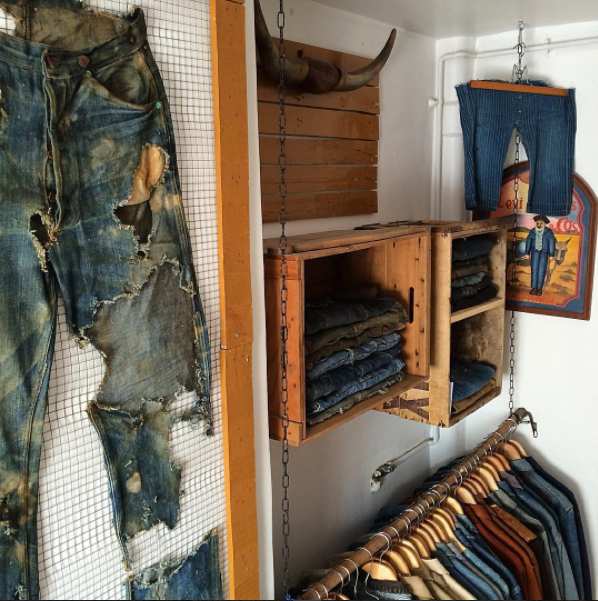 What’s your favorite denim brand: Well, all the brands I just mentioned are all denim brands except Stifel. 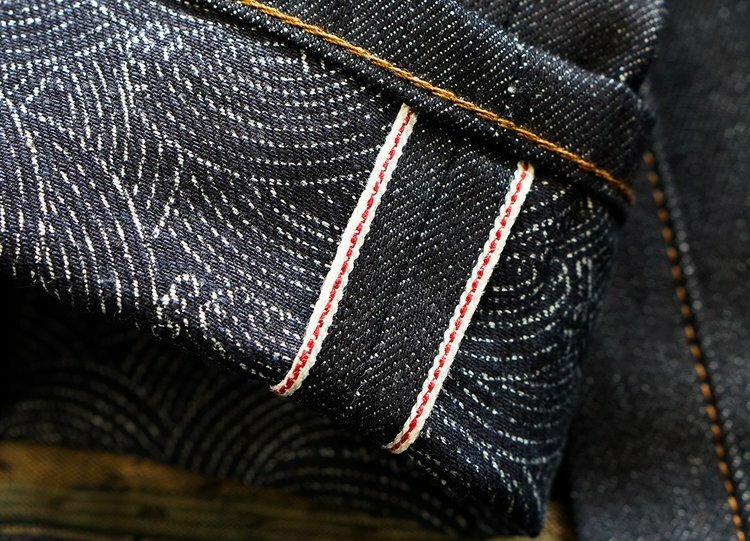 So, if I have to pick just one favorite denim brand, I would say Underhill. 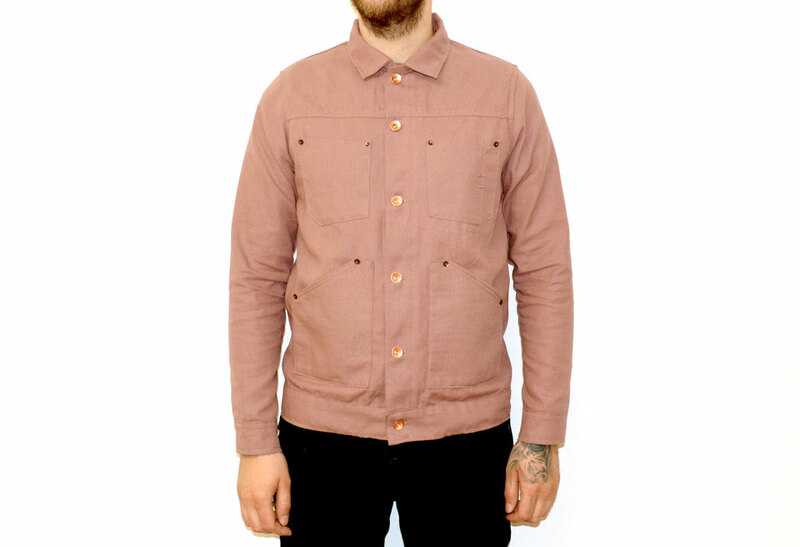 Not the most famous one but my first miner’s jacket was an Underhill one. So I guess it’s all about romanticism. 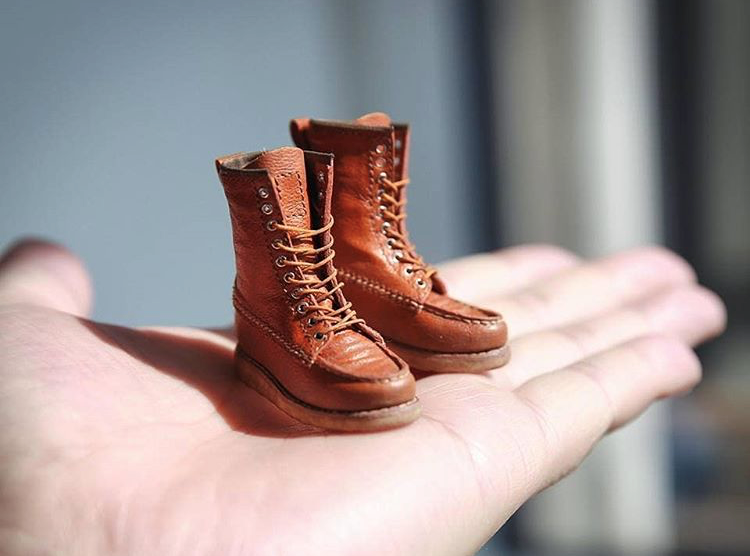 What’s your favorite footwear brand: Strangely, I’m not really into footwear. When I was younger, I used to collect skateboarding shoes, so I still do have a lof of Vans, Airwalk and Vision Street Wear shoes, all from the 80’s. But regarding workwear boots, I don’t have a particular brand I like. 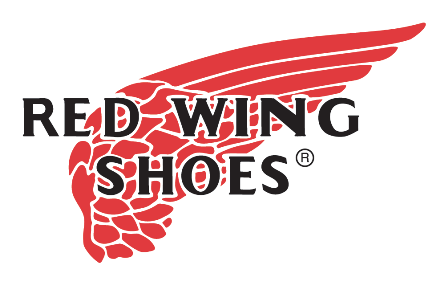 Maybe Red Wing, but that’s not very original. How long are you collecting: Like every collector, I collected everything I can collect since I’m a child. In my life, I used to collect pins, phone cards, Dragon Ball Z figurines, magic cards, football (soccer) stickers…And then I come to clothes. It all started in 2003 when I went to Japan with my older brother. I was 18. 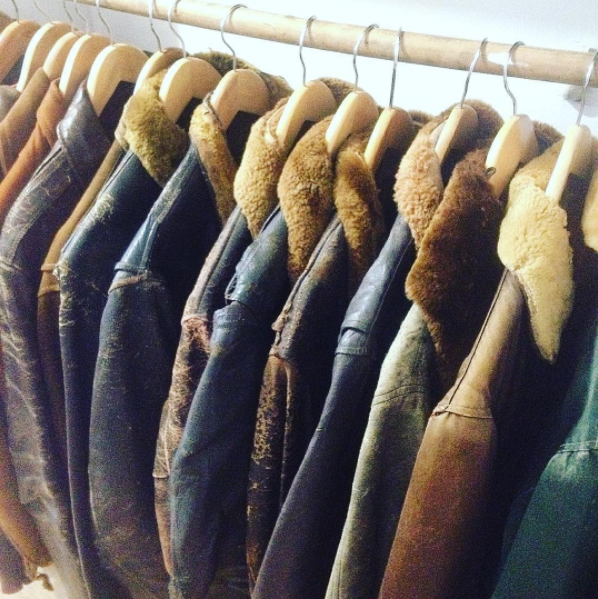 He brought me to a vintage shop in Tôkyô and I was like « Wow, that’s really cool ». I remember buying a 80’s Nike t-shirt, that was my first vintage item. The following years, I collected 70’s and 80’s vintage rock t-shirts, like Iron Maiden, Slayer, Metallica, Motley Crue, Poison and Black Sabbath. And then, in 2010, I really started to focus on workwear. I bought a lot of Japanese magazines to document on workwear and miner’s stuffs. 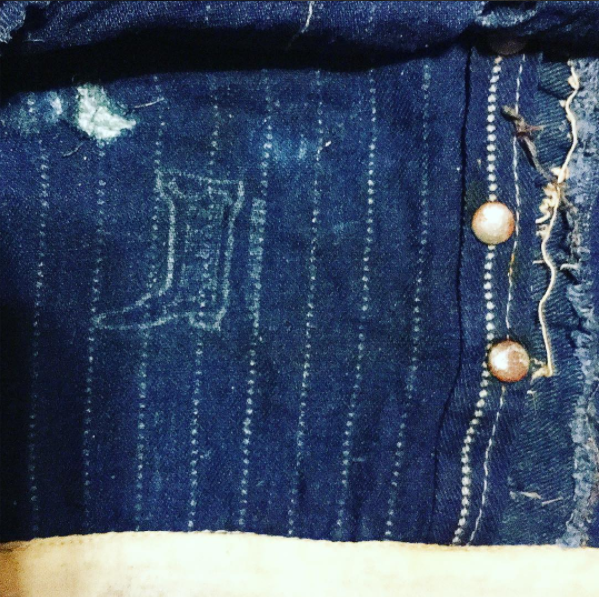 I also bought Michael Harris book about Jeans of the Old West and was amazed by those jeans he dug from old mines. Treasures from the past, and incredible witnesses of American history. And this is how my actual collection started. How many items are there in your collection: Hard question, because first, I have to define the borders of my collection. Are my vintage rock t-shirts part of my collection? 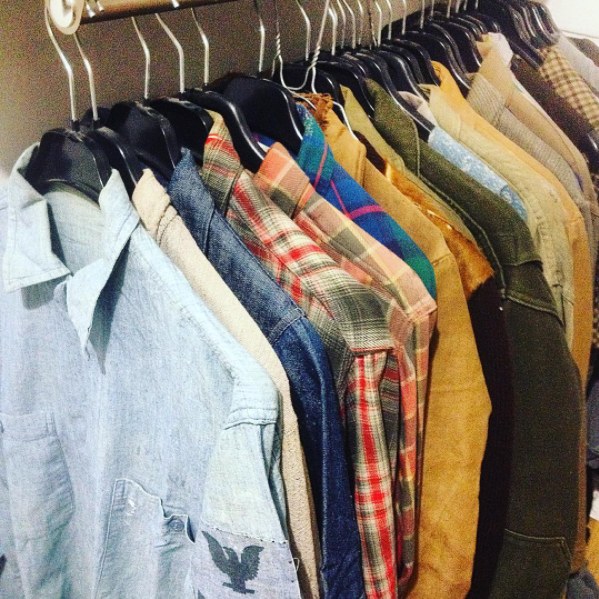 Let’s say I have three collections : 1/ American workwear and miner’s collection. 2/ 80’s t-shirt collection. 3/ 80’s and 90’s sportswear (jackets, jerseys) collection. 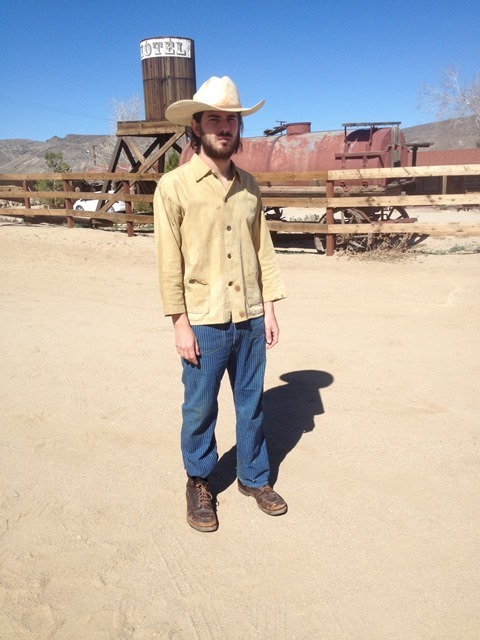 In the American workwear collection, I maybe have 300 pieces. How or why did you became a collector: Like I said before, reading all the Japanese magazines and Michael Harris book was kind of a revelation for me. 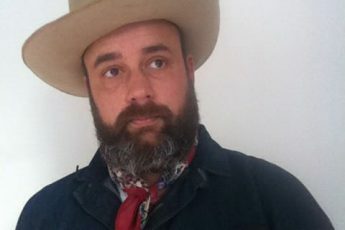 I remember seeing all this old denim jackets, denim pants, overalls, and was telling to myself : « I want this, I want that… » So I started hunting during my trips in America (I’m living in Paris, a city where you definitely can’t find American miner’s stuffs), and then, like every collector, I bought stuffs on eBay. 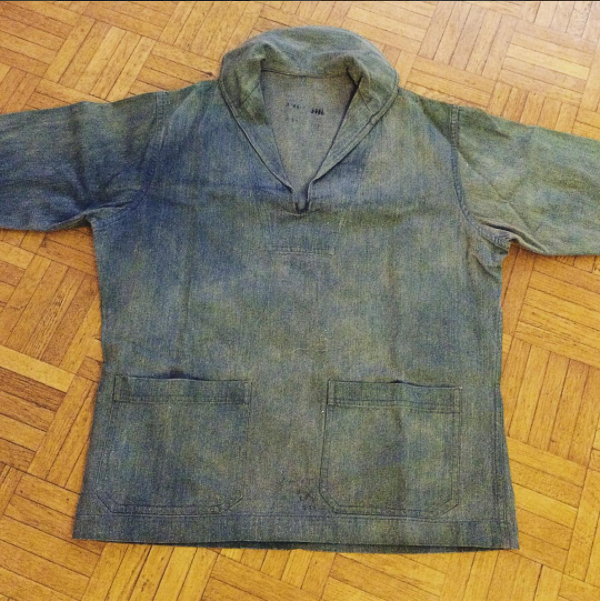 I bought a Underhill 1890’s miner’s jacket from a guy who found it in a mine in Colorado. When I received it, I was like a child at Christmas eve. That was in 2011. Then I get another jacket, then pants, then overalls, and the collection grew and still keeps growing. This guy in Colorado became my friend, I went to Colorado to hunt and explore mines with him, and I am very very grateful to him because he always found fantastic stuffs and gave me the opportunity to own some of them. What’s the best thrill about collecting? It’s a feeling that is hard to explain with words. 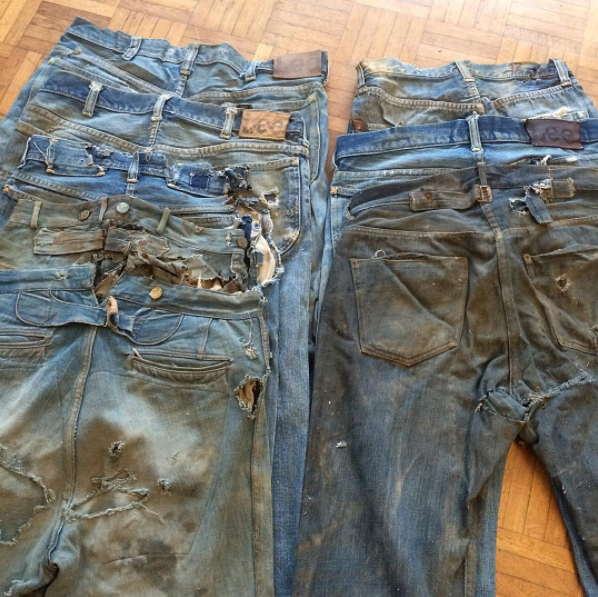 The best sensation is to find old clothing in a mine, an abandoned house or a barn… It’s just laying there, and you know that nobody saw it or touch it for like… 70, 80, 90 years? That’s so exciting. Last year with my friend in Colorado, we found a pair of Underhill pants in a mine in Cripple Creek, it was like finding a gold nugget! Then, I also love the excitation of buying stuffs on eBay, waiting for it and then receiving the package from the mailman. It remember me when I was a kid, I didn’t have Internet and was waiting for letters from my friends during summer. The moment you open the package and touch for the first time your new item is so cool. Then you find a good place in you showroom and can admire it. The real problem about collection is that you are never satisfied. You buy a jacket, you wait for it, you receive it, you admire it, but the day after you already want to buy another one. It never ends. 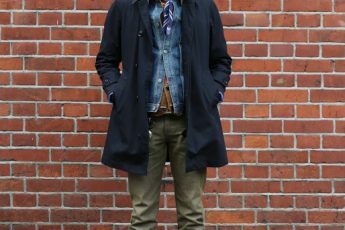 What is your favorite item en why: My favorite item so far is a 1900/1910 Stifel jacket, and the brand is Our Wheeler. It was found in a abandoned house in Kansas. It was there, laying on the floor for maybe 100 years… Amazing. Stifel brand is really rare. 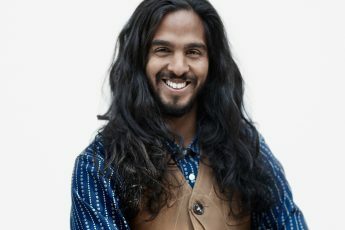 The fabric is soft, it’s not as strong as denim, and that’s why it’s harder to find Stifel items nowadays: because a lot of them were destroyed. So it’s always very moving for me to find Stifel items. What’s your best bargain in your collection: It’s a US Navy pull-over shirt I found last time I was in Los Angeles. A guy at the Rosebowl was selling some Daisy Mae hats from WW2, I bought them from him and then I saw that USN denim shirt. I asked him a price, and I was expecting a price between 400 and 500. And he answered me : « you already took the Daisy Mae, so give me 10 $ and the shirt is yours ». !!! Well, thank you mate!! 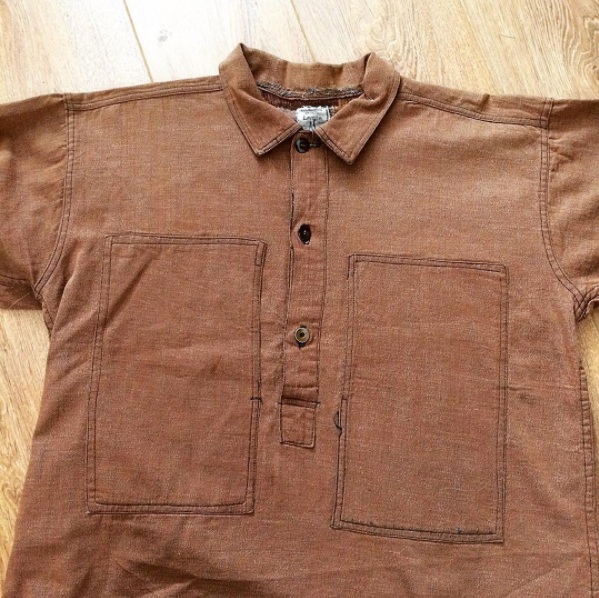 Which item was the hardest to get and/or the most valuable one: It’s definitely a WWI US Army brown pull-over shirt. 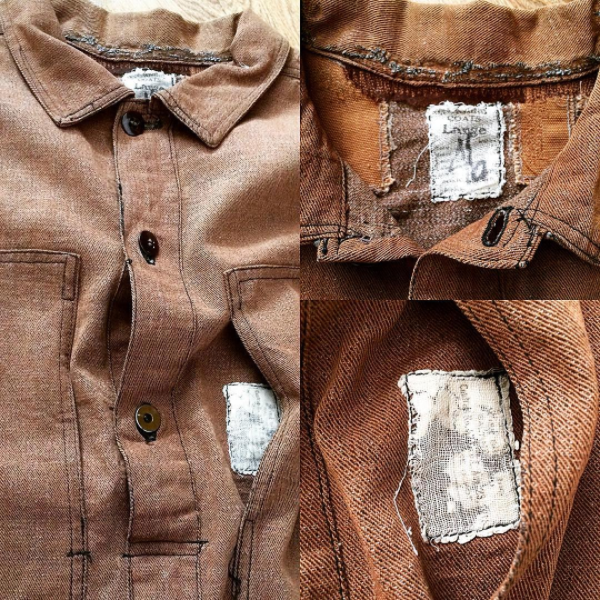 I got two or three US Army pull-over denim shirt, the ones with US Army zinc buttons. But I was looking for a brown one. I saw one in a vintage magazine, and then saw another one on Instagram, but the guy didn’t want to sell it. So I just waited, and waited again. And one day, a friend of mine told me that a Japanese seller just got a brown US Army shirt. But the price was really high. So I asked him if it was possible to do three rates payments. He said yes, so I payed, it took three months but in the end, I got that shirt ! Which item would you add to your collection (wishlist): I would really love to get some Stronghold pants. 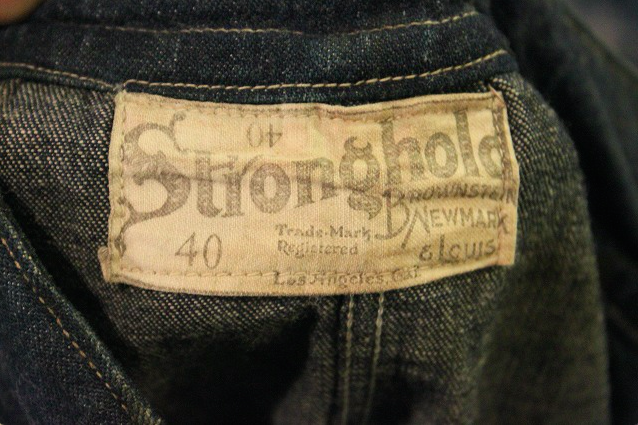 It’s a brand I really like and I got nothing from Stronghold. I love the Stronghold tag. 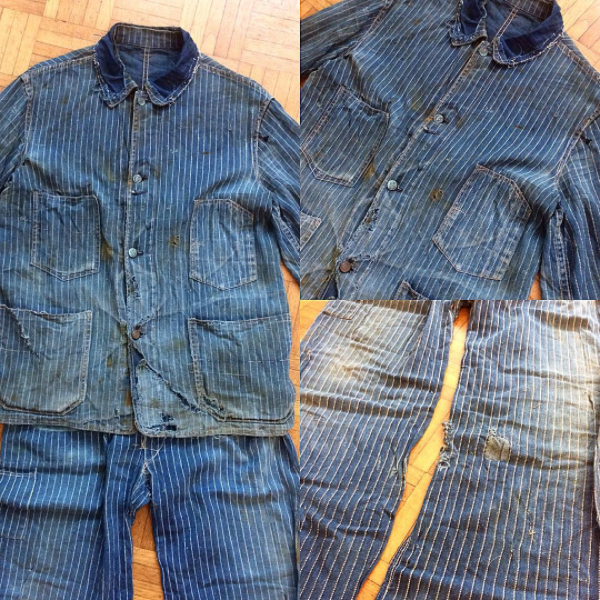 I would also love to get an old Levi’s miners jackets. From 1890 or 1900. But it’s really, really, really hard to find. – For American workwear : okakineko.0222, sanforized, palms_vintage, snug_genki, vintageworkwear, kensgoods, holiday_shantii, foremostvintage, vanishing_dreams_ofthewest, and sakethaivintage. – For French workwear : tomgruat, jamclothing_nao.